During our recent visit in Mexico Mr K and myself explored the ancient Mayan culture which seems very much alive thousands years later. 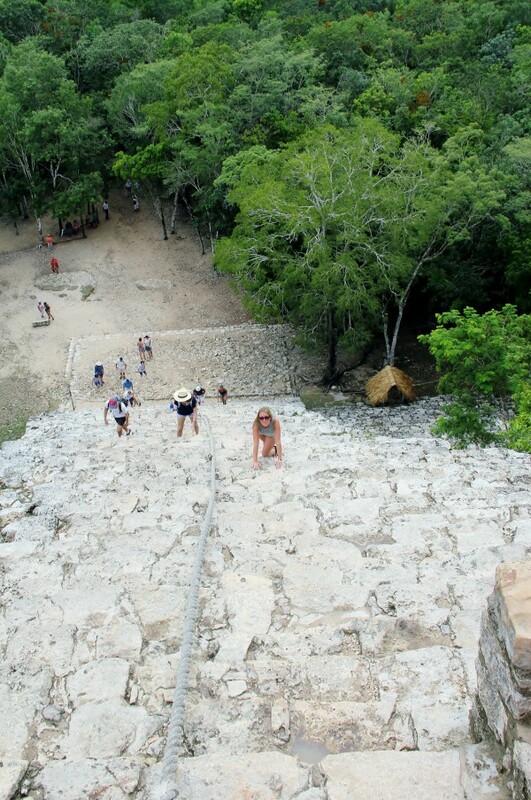 We entertained two all day long trips to the heart of Mayan’s ancient pre-Columbian cities – Chichen Itza and Coba. 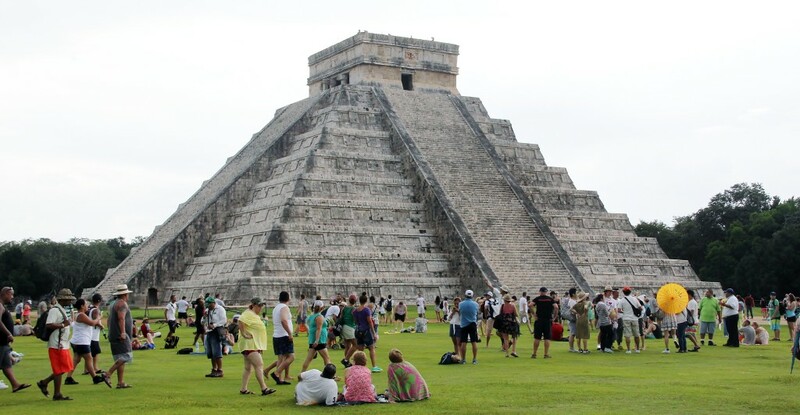 They are both built in the Terminal Classic period and now are the home of the most famous Mayan ruins. 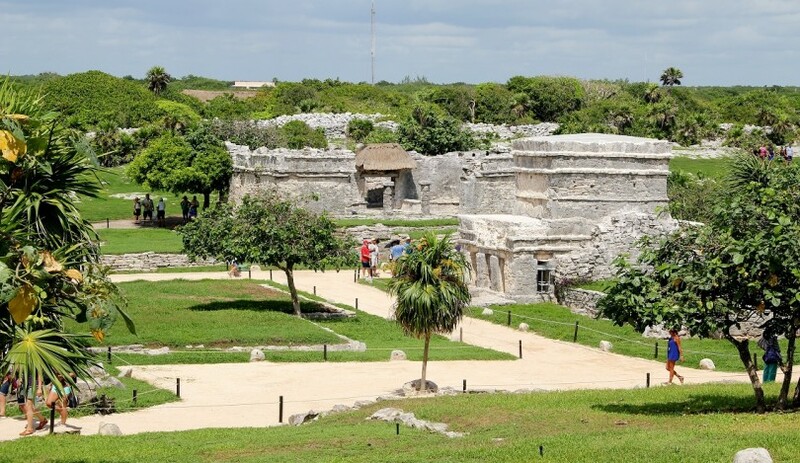 We also visited Tulum, known for the second largest coral reefs in the world. We followed the steps of Mayans, super clever people who were in America before Christopher Columbus, invented the calendar and the symbolic alphabet which they used to write codex. 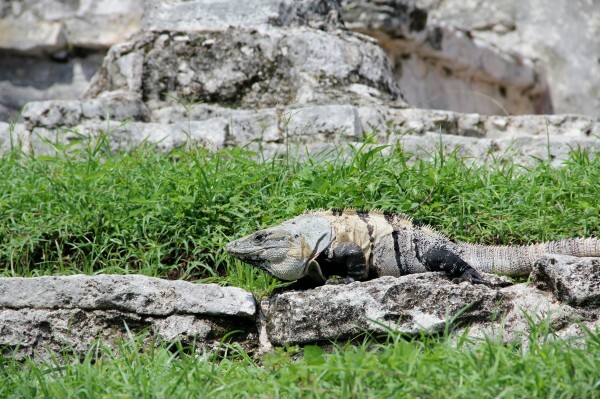 What is really interesting the Tulum pyramids are now occupied by friendly animals living around. One of the main attractions while visiting Cobe was climbing a pyramide which was exhausting especially when temperatures toped at 32C. Breathtaking view was however well worth the challenge! 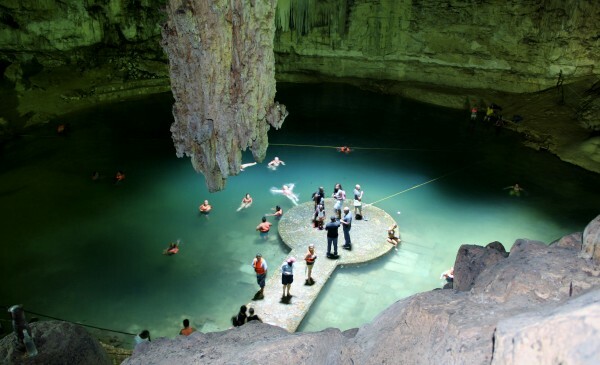 While in Chichen Itza and Tulum we were extremely lucky to swim in the caves. Crystal clear, refreshing water in the surroundings of stalagmites was an original way to cool down in the hot day. Those short excursions helped us understand that Mexico is not only defined by exceptional weather, delicious food and breathtaking resorts with golden beaches but it has an interesting history, fascinating nature and hard working people.